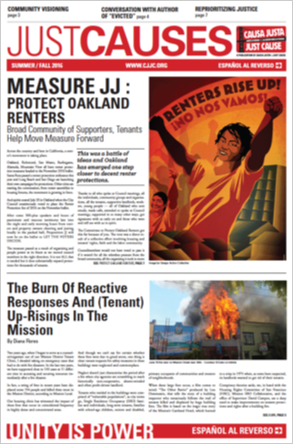 Measure JJ: Protect Oakland Renters. Broad Community of Supporters, Tenants Help Move Measure Forward. Also The Burn Of Reactive Responses And (Tenant) Up-Risings In The Mission and more. Click to download PDF.